GOOGLE ANALYTICS METRICS AND DIMENSIONS · 9-MINUTE READ · By Nikhil Parachure on January 9 2018. While this article is about Google Analytics hidden treasure, most of these treasures are easier to find in the sidebar of Supermetrics’ Google Sheets Add-on, which is free to use for 30 days trial period and you can get yourself acquainted with sidebar with this tutorial. Google Analytics explorer report with a time series at the top is probably more popular than a fidget spinner, but that is just a facade and there are unfathomed riches to be found if you ignore the facade and dig a little deeper. This article will uncover several such gems which are hiding under the surface of Google Analytics. These hidden metrics and dimensions can provide you with unparalleled insights, which can alter your actions that make the winning difference to your marketing campaigns or website optimizations. These hidden metrics and dimensions do not really surface in Google Analytics pre-built reports, but you can find and report them with Google Analytics Custom Reporting. To get the best out of these hidden dimensions and metrics you should also take a look at this help video on building custom reports and types of custom reports. While Google Analytics provides you feature to build your own custom reports in the interface, I personally love the freedom and data exploration opportunities that I get with Supermetrics Google Sheets add-on. Especially combined with data exploration and scripting features of Google spreadsheets you can find several more hidden treasures on your own. This metric can help search engine marketers in bucketing clicks/other metrics by words in user search query. In the past, I have used this metric to bucket and have different bid strategies for Long-tail keywords. This metric also helps you in building histograms for a number of clicks by count of words in search term and tag conversion metrics or behaviour metrics to Query Word Count buckets. Do keep in mind that this dimension will only be available if your Google Analytics and AdWords Accounts are linked. This dimension is quite often confused with “Keyword Match type”. Although both keyword match type and “Query match type” have same output values which are “Exact match”, “Phrase Match” & “Broad Match”, both dimensions are quite different as shown in the screenshot below. E.g. if user query ‘Blue Shoes’ triggered broad match keyword Blue Shoes, the keyword match type will be broad match, but query match type will be exact as query and keyword are exactly matching. This dimension also needs your Google Analytics and Adwords Account/s to be linked. In Supermetrics Add-on’s sidebar, connect Google Analytics as the data source and choose the dimension “Ad Match Type”. Revenue per click is a metric which, when used along with cost per click, can make wonders to your campaigns as well as your business. This metric at keyword / campaign level will help you calculate the value of each keyword level not only at revenue level but at profit/ margin level as well. This can be easily automated using Supermetrics Google Spreadsheet add-on by pulling both RPC and CPC metrics in one spreadsheet with formula of RPC – CPC in output column (e.g Spreadsheet like this). Alternatively, you can also create a calculated metric for margin as RPC – CPC. Week of the year as dimension can be quite confusing because different countries start weeks on different days for example, by and large, western countries define week with the first day as Sunday, while Asian countries define it as with the first day as Monday. Default week definition for Google Analytics is the first day of week as Sunday which can throw your data off if your organisation defines the first day of week as Monday. ISO Week of the year solves this problem as with this dimension you can report weeks with the definition as first day of week being Monday. (More about ISO Standards). If you are using Supermetrics life is a lot simpler as these dimensions are named Week(Sun-Sat) and Week(Mon-Sun) respectively. Sometimes, date can be too much of information and if you are looking to report metrics for day 1 , day 2, day 3, day n for the selected date range, day index comes in handy. Day index starts indexing days for the selected range at 000 and increments each day with +1. The screenshot below shows dates and day index in the same report for a simpler explanation. As shown in the screenshot the report is for date range December 1st, 2017 to December 10th 2017 and Day index starts with 000 for December 1st and increases by 1 for each day. This dimension helps you understand the behaviour of your customer even by minutes or parts of an hour. This dimension can help you come over limitation on logging real time traffic. As logging real time traffic is only possible with API, this is a way you can somewhat come over that limitation in the interface itself. Supermetrics offers multiple time dimensions and minute as well as day index are only two of them. Hostname is a dimension which comes handy when you have multiple subdomains under one view. As Google Analytics by default only reports URI (Only part of URL which does not include domain), if your 2 or more subdomains have the same URI they will be clubbed under one record. E.g. if you have URLs like shop.yoursite.com/contact-us and blog.yoursite.com/contact-us pageviews for both will be clubbed for reporting under /contact-us. But if you use hostname dimension along with page, it will help you with the report for 2 contact-us pages for each subdomain separately. I know marketers who literally obsess over landing page report and landing page optimization and rightly so, landing page optimization makes a huge difference in user journey. But this dimension takes it one step further and helps you analyze and optimize user journey on second page of user visit as well. An interesting report for second page, which I use quite often is second page exits or second page exits by source as shown in the screenshot below. Both “hostname” and “second page” can be reported dimensions with the help of Supermetrics. Days since last session helps you in analyzing your lapsed users or disengaged users. This metric can also be used to create a segment which can be used in as a remarketing list to bring back these users to your website and reactivate engagement with these users. Date of 1st Session as a dimension is not available for reporting but is available for segmentation. This dimension lets you define a date range for Date of 1st Session of the user and a create segment. Based on this segment not only you can analyze user behaviour of the users acquired during specific date range(e.g. Black Friday Sale, End of Season Sale etc) , but you can also use the same segment for remarketing with specific messaging which ties back to these user’s 1st interaction with your website. In Supermetrics add-on’s sidebar you will see “date since Last Session” as well as “date since 1st Session” in the list of Google Analytics data source dimensions. These hidden custom dimensions and metrics are just a tip of the iceberg and there are many Google Analytics features which are hiding in plain sight. Stay tuned to this blog as I uncover these hidden treasures which help you become Google Analytics power user. Nikhil is Digital Marketing Trainer and Consultant with 360 degree experience in Digital Marketing. Avid blogger @ his marketing analytics blog along with Supermetrics Blog. 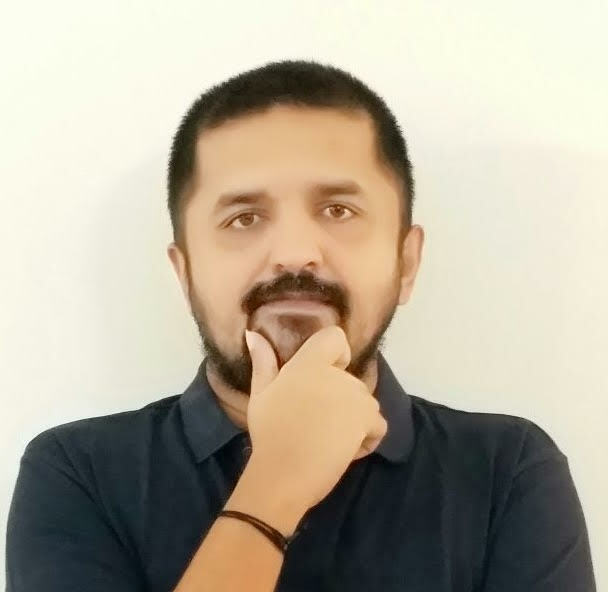 Starting career with paid search Nikhil has built and managed award-winning digital campaigns, has been Google Adwords Top Contributor, planned and implemented several complex and large-scale web and mobile analytics implementations. Having worked with companies like Iprospect(Global leader in Search Marketing), Myntra.com (largest apparel e-tailer in India), Nikhil now trains and helps online businesses on marketing and analytics. You can get touch with him via Linkedin and Twitter.